Peter Goitom is an actor, singer, and comedian. He was recently in MTV Film’s Girl Code. 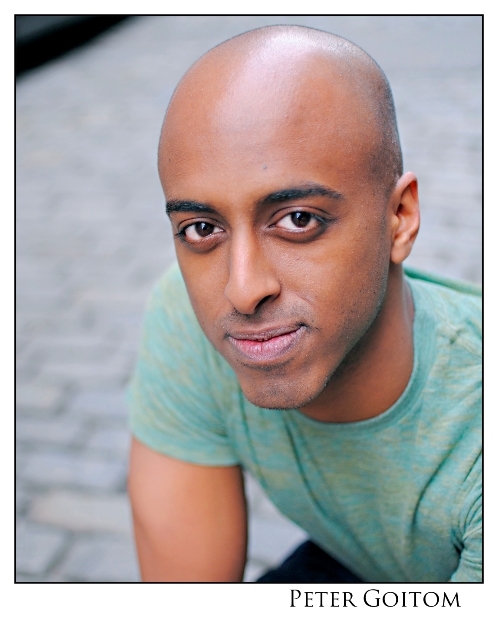 Stage credits include Nathan Detroit in Guys and Dolls, Othello in Othello, Feste in Twelfth Night, Turkel in One Flew Over the Cuckoo’s Nest. He was a embmer of the University of Wisconsin-Madison’s Fundamentally Sound Men’s A Cappella group, lead singer in the band The Temp, and has performed sketches at UCB Chelsea’s Liquid Courage.